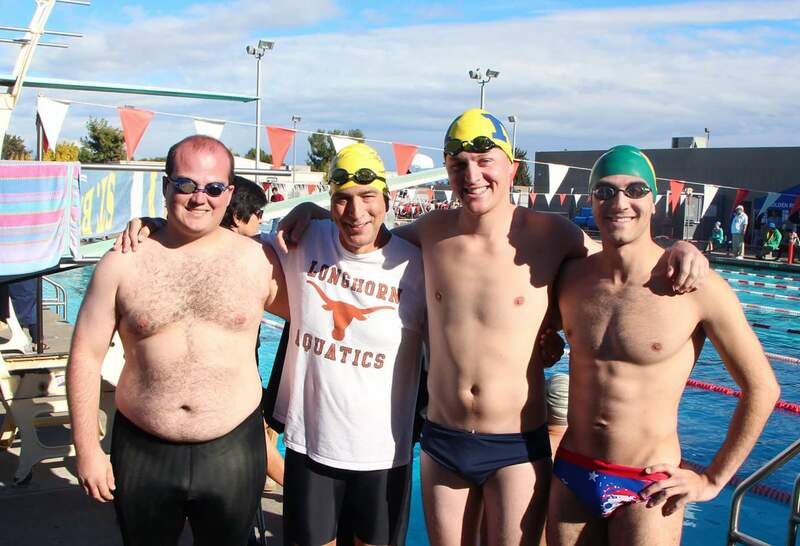 An honest review of how Michael Allon lost 100 pounds swimming with the MySwimPro app. 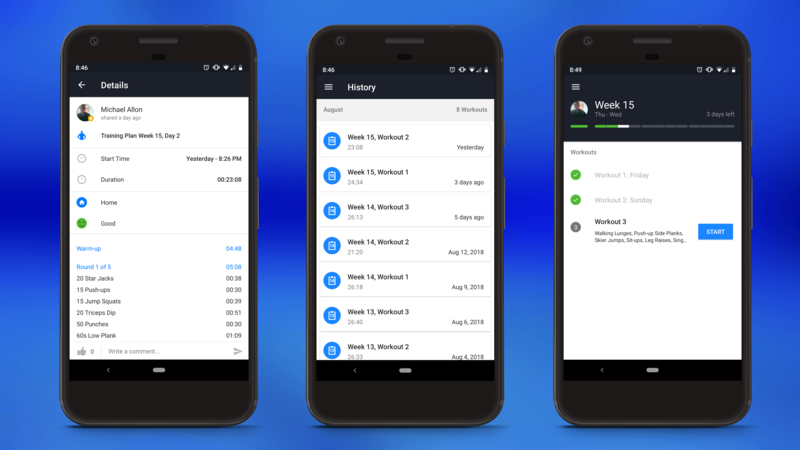 My name is Michael Allon and I’m the Co-Founder and Android Developer for the MySwimPro App. 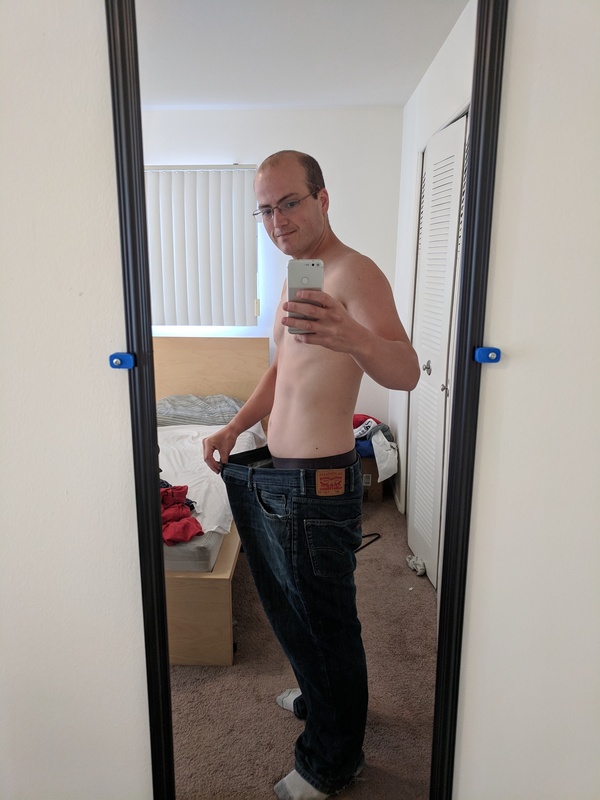 I wanted to tell you my honest story of how I changed my life and lost 100 pounds through diet and swimming with MySwimPro. Is the Training Plan hard for a beginner? Are the short workouts effective? Will you see results quickly? 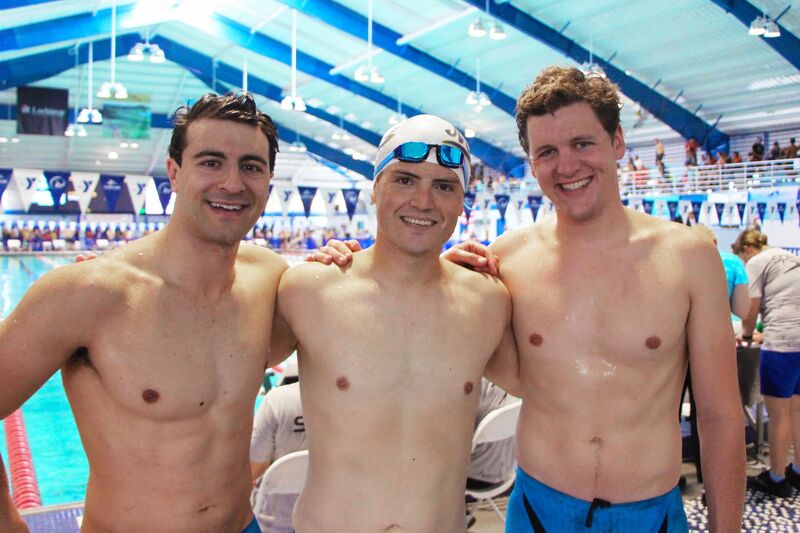 Will you become a stronger swimmer? Keep on reading for my tips! My weight gain started in college. 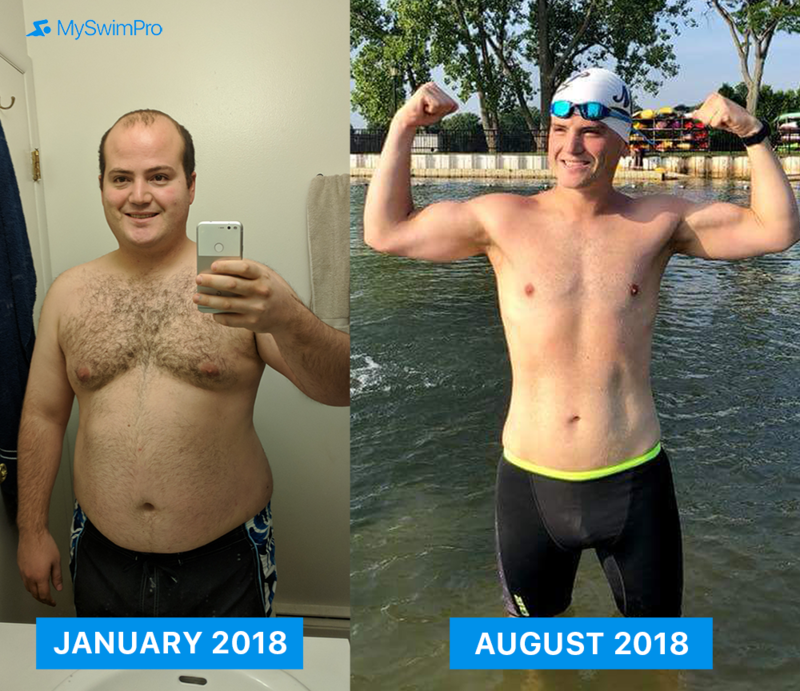 Before I joined the MySwimPro team, I never would have considered myself a “swimmer.” I was overweight (technically obese), clocking in at 264 lbs as a late 20’s 5’10” guy. In college I had gained my “freshmen 15” which turned into the sophomore, junior, and senior 45. Up until this January, I’ve lived a very inactive lifestyle. I’ve been working as a computer programmer, a sedentary job, and barely worked out, which led me to my final weight of 264 lbs. Near the start of 2018, I decided that I needed to make a change. I made a promise to myself that I would work out 4 times a week, focus on my diet, and make a lifestyle change before my health got any worse. I’ve been working on MySwimPro for almost 3 years and was always finding excuses for not swimming regularly. I was now determined to figure out how I could stick to a plan and not bail. I set a goal to swim 4 times a week. I committed to the 6-Week Get Fit Training Plan in the MySwimPro app. This gave me a clear plan with all of the swim workouts, drills, and a schedule that I could follow to stay on track. I did a swim workout from the app 4 days a week with my iPhone and Apple Watch, which made it really easy to always have a coach giving me the day’s workout. If you’re not familiar with MySwimPro workouts, I’ll break it down for you. The app is free to download and has a library of swim workouts (20-50 mins long), training videos, technique tips and training plans. It also has a swim log where you can track your progress and see your stats of how much faster you’re getting each week. You can get it on your iPhone or Android, and it’s optional to pair it with a smartwatch. 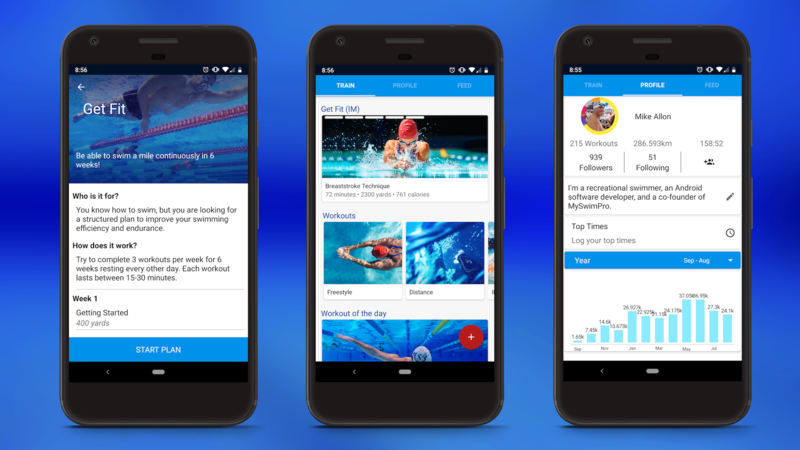 Once you’re in a plan, the app will tell you what your swim workout is, and you can take it with you to the pool to complete. I suggest syncing it with a smartwatch (details here) because it records everything and coaches you through the sets, but you can also bring your phone or a printed version of the workout to the pool. If you’re a beginner swimmer, it’s really helpful for learning stroke technique and learning how to structure a swim workout. I have the Premium Subscription which unlocks all the workouts and recommends a Personal Training Plan that’s tailored to my speed and goals. 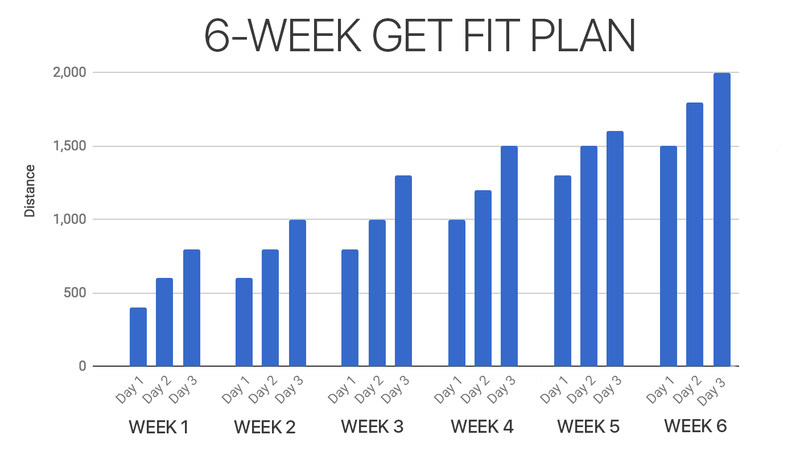 I started with the 6-Week Get Fit Training Plan. Who’s it for? 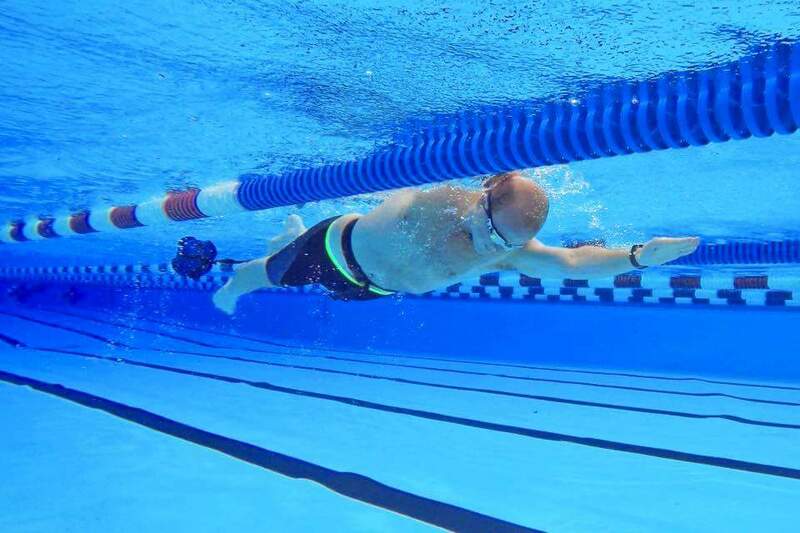 You know how to swim at least a couple laps, but you are looking for a structured plan to improve your swimming efficiency and endurance. How does it work? Try to complete 3 workouts per week for 6 weeks resting every other day. The workouts in this plan average 30 minutes. Each workout builds off the one before it. Similarly, every week builds off the prior week, so being consistent will play a large part in how successful you are. This plan was the most simple one to start with and after 6 weeks I was able to swim 1 mile continuously. After that, I progressed to the 8-Week Enhance Speed Training Plan. I was recently on our #AskASwimPro Show this week talking about my workouts and how I lost the weight. Watch the video below, and click here to read the full post from the interview. Seems like a lot, right? Wrong. These workouts were challenging, but really simple to do. Since the workouts were only 30 minutes long, and the app tells you exactly what to do, I never got bored doing the workouts. It felt good to go really hard and push myself, and by the end of the 30 mins I was usually exhausted! It’s amazing to see yourself drop time and swim faster every single week. I also used the Runtastic Results app for my bodyweight fitness routine. This app provides awesome training plans, full of push-ups and sit-ups, which I can do at home. The app has allowed me to maintain and even gain more muscle as I lost weight. To lose weight you need to create a caloric deficit (ie. expend more calories than you take in). You expend energy through exercise and through your normal every-day actions (Total Daily Energy Expenditure or TDEE). The general rule of thumb is that a deficit of roughly 3,500 calories is equal to 1 lbs of weight loss. When I weighed 264 lbs, my TDEE was around 2,600 calories (you can calculate TDEE with this tool). I swam a MySwimPro workout 4-5 times per week, so I averaged roughly 300 calories burned from exercise per day. I also limited my food intake to 1,650 calories per day. So my daily caloric deficit was 1,250 calories, and my weekly deficit was 1,250 x 7 = 8,750. This equates to roughly 8,750 / 3,500 = 2.5 lbs lost per week. 1) Find a community or friends who can help you out. Weight loss is a difficult journey to undertake on your own. It’s great to have support for what you’re going through. There is also so much mis-information out there about weight loss, and having a group to discuss with can help you sift through the BS. I’d recommend the community reddit.com/r/loseit for online weight-loss discussion. For swimming-specific discussion I’d recommend the MySwimPro Community Moments Facebook group. I personally drew inspiration from Patty Deters, a member of the Facebook group who lost 75 lbs by using the MySwimPro app. 2) Prepare and proportion your meals. Lots of people are using apps like MyFitnessPal for calorie counting. I find that it’s difficult to track calories this way – but if that works for you, more power to you. 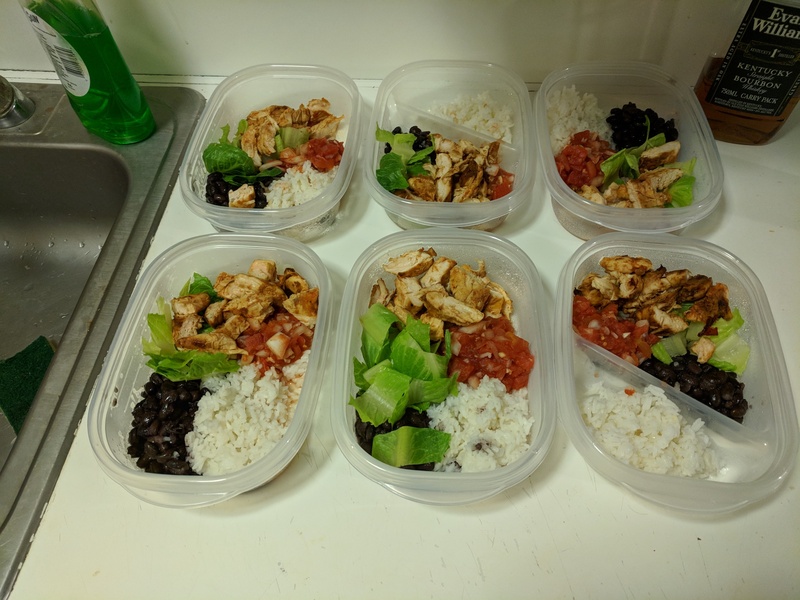 Instead of calorie-counting, I opted for meal prep. Every week I plan out my meals and go shopping for the groceries I need for my planned recipes. 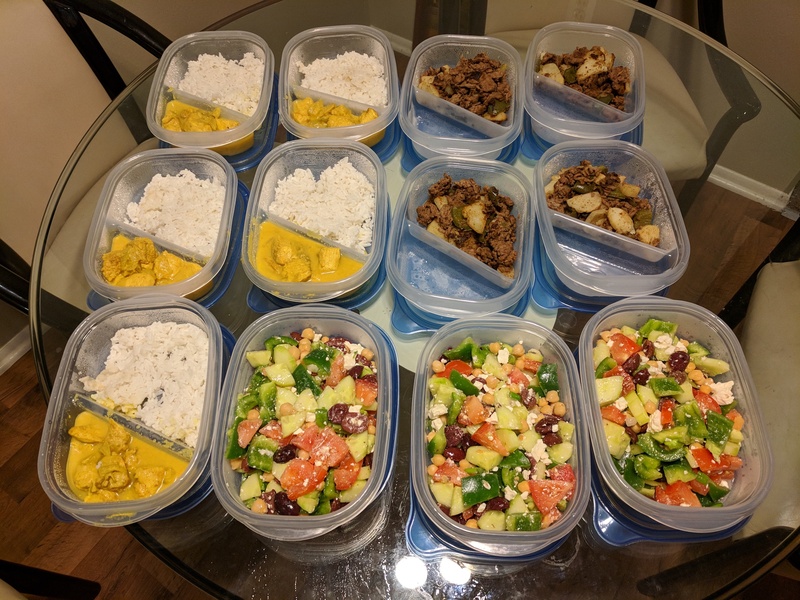 Every Sunday and Wednesday I prepare and portion meals for the rest of the week. In this way, I know exactly how many calories I’ll consume each day. Check out reddit.com/r/mealprepsunday for some ideas on meal prep. 3) Find a form of exercise that suits you. For me personally, swimming absolutely made the most sense. 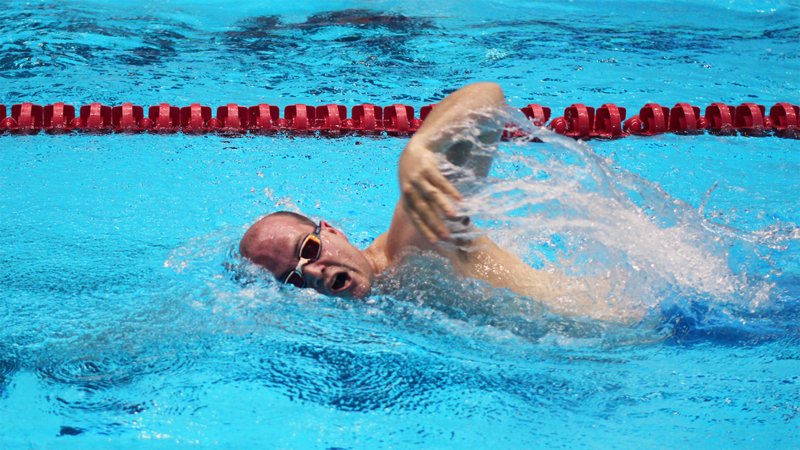 Not only does swimming burn a ton of calories, but it also works all your muscles! Swimming also helps me set goals and keep things interesting with my exercise. I’ve used a couple different Training Plans from the MySwimPro app to train this year. I even worked up the confidence to race in my first Masters swim meet! I’ve dropped a ton of time in my Freestyle events since earlier this year, and even competed at the U.S. Masters National Championships in Indianapolis, IN and the UANA Pan American Masters Championships in Orlando, FL. 4) Good habits are key, but don’t sweat the small stuff. The main idea is to be as consistent as you can and to establish good habits. Set up a regimen that you can stick to – maybe it’s exercising 3x a week, or maybe it’s cutting sugar from your diet. It’s ok to start small – you don’t have to make huge changes in your lifestyle to start. If you’re struggling to lose weight and you go on a food-binge or forget to exercise once in a while don’t beat yourself up about it. It’s ok to indulge every so often and you can always jump back on the weight-loss wagon – there’s no rush! I promise you that if you swim 3-4 times a week for at least 20 minutes, you will see changes. You’ll get faster in the water, and your strength and stamina will improve every time you swim. 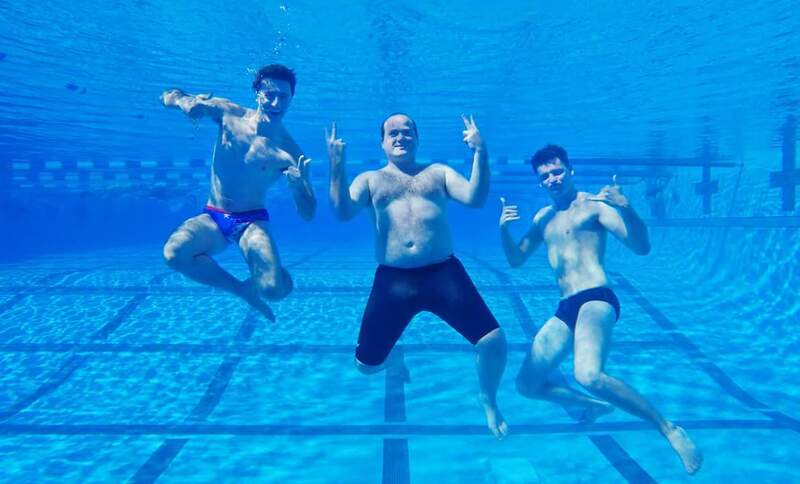 And if you’re struggling to understand swimming technique, you can always contact our team and we’ll coach you through the plan! You have to learn to celebrate the little wins. Celebrate when you go faster on a swim set, when you get out of the pool without feeling winded, and when you have more energy during your work day. The number on the scale doesn’t always define your progress. If you can commit 30 minutes, 3x a week, you will find so many other aspects in your life improving. 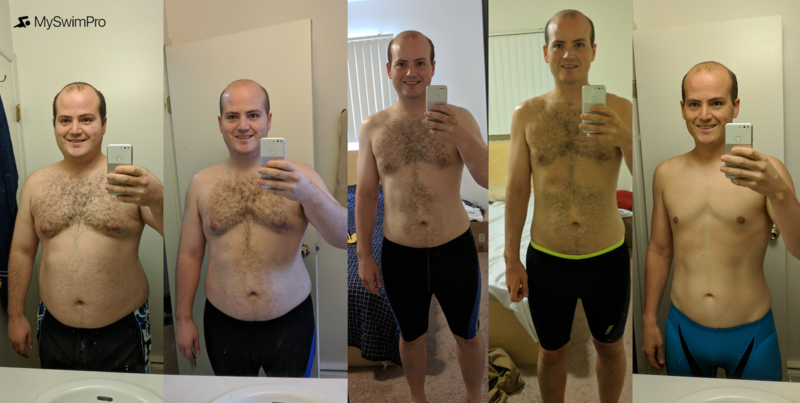 I hope my story helps someone who’s looking to make a change or lose some weight. Please reach out to us in the comments, on Facebook, or to me directly at michael@myswimpro.com for any questions or feedback!  Archived in Community, Gold Medal Moments, Technique & Training. Bookmark the permalink. Hi mike, I am a high schooler and I have struggled my whole life with being overweight, I live in a house with my parents, they are not into “healthy eating” and exercising so it is hard for me to get motivated to go workout and sit down and make a healthy meal, I also struggle when it comes to fighting the temptation, any advice? Hi Valentina, thanks for the question. I hope I can be of some help with your weight-loss journey. It’s definitely not easy to overcome an unhealthy home environment, but it sounds like you may need to take your health into your own hands. Even if your family is not into ‘healthy meals’ you can still at least portion your meals to meet a certain calorie goal. I’d recommend doing some quick calculations of how many calories are in your most frequent meals, and try to hit a certain number of calories per day. Exercise is healthy, but it’s not absolutely necessary for weight loss – all you need is a caloric deficit. I’d recommend checking out the MySwimPro Facebook group to get some tips and motivation for swimming if that’s what you’re into. Also, check out the subreddit reddit.com/r/loseit for discussions from people going through the same process you are. As far as quick tips for fighting temptation – sometimes when we feel hungry, we’re actually thirsty – so grab a glass of water instead and see if that helps. Also, sometimes we eat when we’re bored, so try to fill your time with other fun things.